On Friday, the ATF busted up an alleged plot to assassinate Barack Obama and go on a multi-state “killing spree.” Agents arrested two men, Daniel Cowart, 20, of Bells, Tenn. (pictured twice below), and Paul Schlesselman, 18, of West Helena, Ark. (right), and charged them with possessing an unregistered firearm, conspiring to steal firearms, and threatening a candidate for president. According to an affidavit filed by an ATF special agent, the men met through the internet and planned to engage in a “killing spree” that included shooting 88 African Americans and beheading another 14. Targets included a predominantly African-American school. At the end of the alleged spree, the men intended to try to kill Obama. 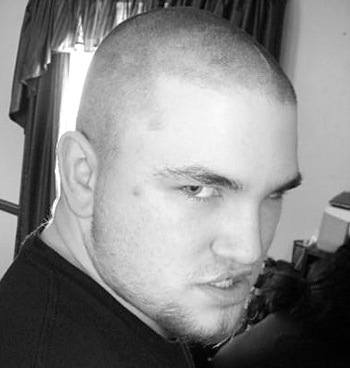 “88,” an important number in skinhead numerology, means “Heil Hitler” – as “H” is the eighth letter of the alphabet. “14” likely refers to the “14 Words,” a white supremacist slogan that originated with the late David Lane. Lane died last year in prison while serving a sentence for his role in an assassination plot carried out by The Order, a white supremacist terrorist group that was destroyed in 1984. 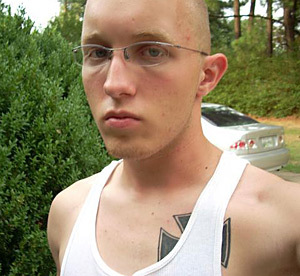 One of the suspects, Cowart, is a known member of a new skinhead hate group, the Supreme White Alliance (SWA), formed at the beginning of 2008, according to the Southern Poverty Law Center. He attended a Hitler’s Birthday party held last April by the group. 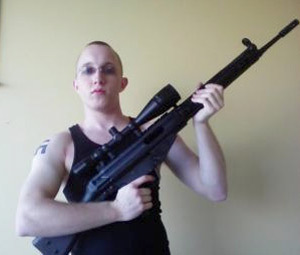 Since 1995, there have been more than 60 major domestic terrorist plots that have emerged from the radical right. These have included everything from plans to bomb government buildings to amassing missiles, explosives, and even biological and chemical weapons. Most contemplated the deaths of large numbers of people — in one case, as many as 30,000. Since 2000, the number of hate groups has risen by almost 50 percent — from 602 in 2000 to 888 in 2007. 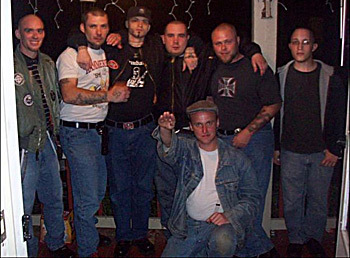 White supremacists have been stunned by Obama’s rise. That, considering the economic tough times, makes this a dangerous period. According to ATF officials, the investigation is continuing, and more charges are possible.